The V1/V1S were the first earphones model released by VJJB, and they took the consumers by storm thanks to their unique design. 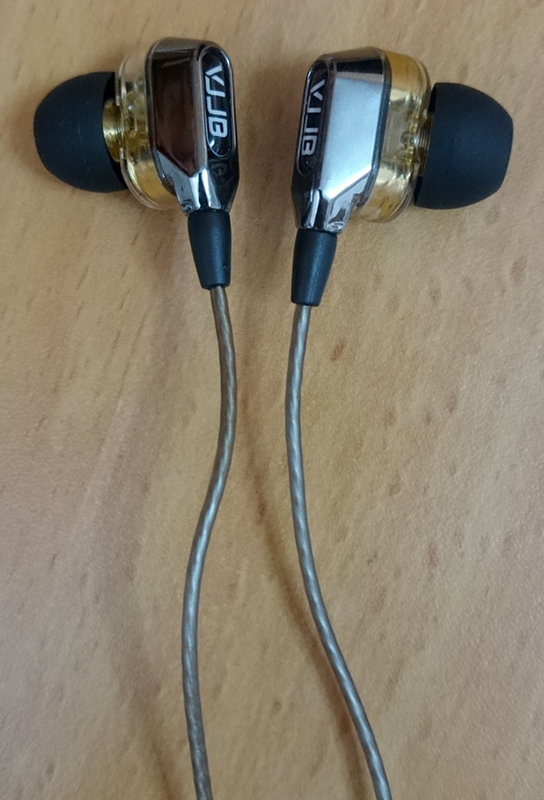 The sound quality received mainly good feedbacks, so I decided to hear it for myself. I've got to say that those are excellent earphones for people who listen mainly to vocal-oriented music with suble bass content. 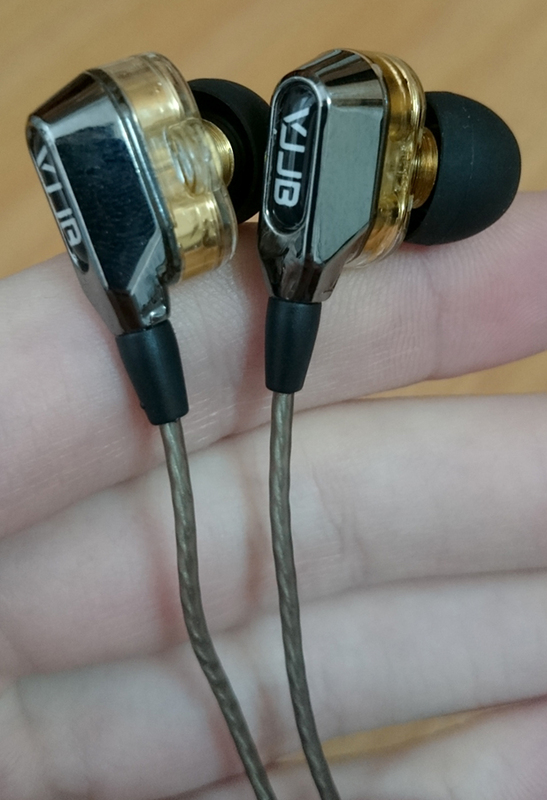 However, if you like bass-heavy electronic music, you will be disappointed, as these earphones provide quick but shallow bass response, only enough for warming up the vocals. 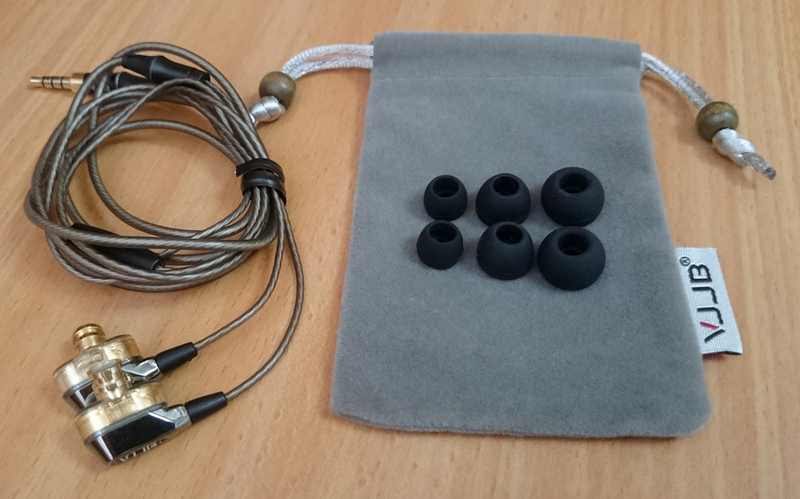 Vocal-oriented music styles sound enjoyable with these earphones. Even though it's shallow, the bass is exceptionally quick, which may be related to the small driver size. The bass is quite shallow and cuts off somewhere in the mid-bass, to the level of subtle distortions. The cable is coated with a stiff silicone which retains bends easily. The cable was folded tightly inside the pouch. Never do that. The package contents are inconsistent. The product is mainly advertised with a full retail package, while you won't usually receive it in reality. 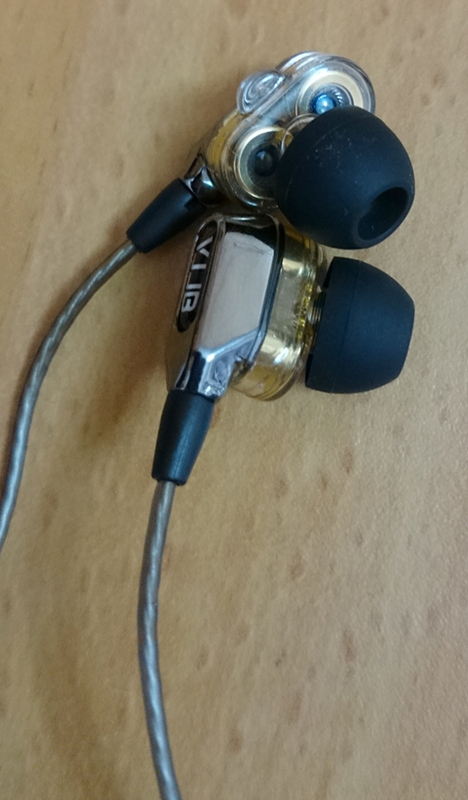 I bought these earphones a few months ago from another seller, which only provided the minimal contents. My recommended seller includes additional accessories. You should try to find the full bundle though, even though it isn't that easy. The housings have no channel markings except a tangible dot on the strain relief of the left channel, while the inline remote's side is the right channel. Very comfortable earphones. Their shape offers a firm hold and seal even with the included generic tips. The bass is very quick and precise, but is also shallow and no sub-bass can be heard at all. Moreover, on deep bass content, the bass gets somewhat distorted. The mids and vocals are very warm and surrounding. The soundstage is great and the vocals are positioned in a comfortable distance from your ears, which makes the whole listening experience very comfortable and pleasant. The highs are quite vivid and precise but not exceptionally sharp. Some delicate detail is being smoothed out.